I've always wanted to have a nice and sturdy step stool at home cause being married to a 6 foot man, most of the covers at home is too high to reach. I need help to get to the things that are store away in the high shelves. I told my husband to build me a step stool, cause whenever I put up our hanged clothes in the closet, I have to stand on my tip toes in order to reach the bar. And whenever I arranged the clothes or look for a jacket to wear, I always feel frustrated as I don't have enough extent to reach the bar. Grateful that I have the opportunity to review a product that I actually needed at home. I received the Epica Folding Step Stool in the mail in an awesome shape. The packaging is great, I received the product in a good condition, no damage and arrives on time. 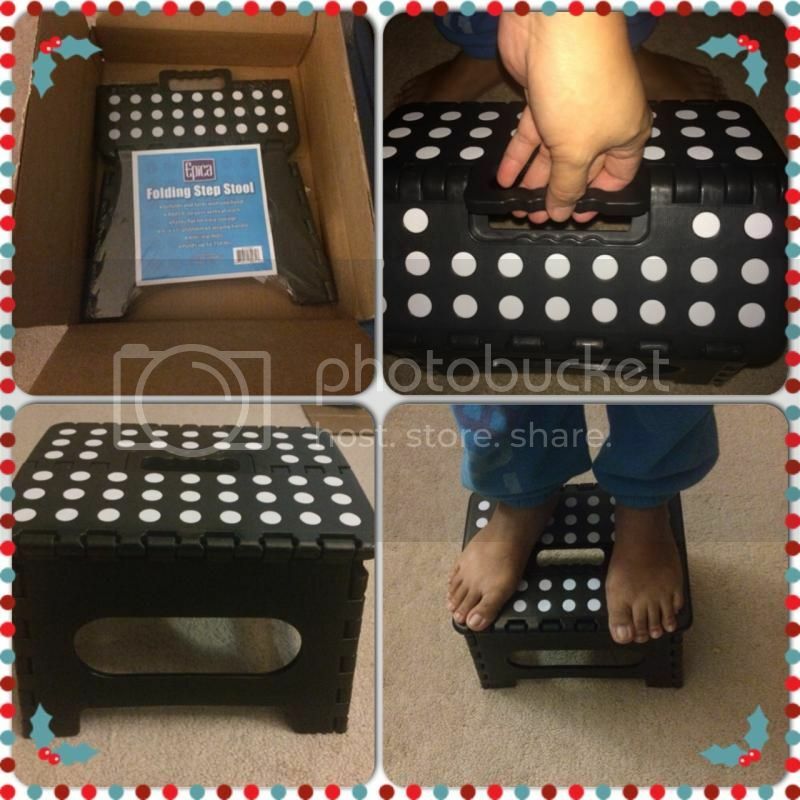 The Step stool is very nice, I like the design and the white dots that you think is part of a design also have another purpose. The Epica's platform is covered with large, textured discs. It's also easier to keep your balance, thanks to the platform's 9" x 11"size, which gives your entire foot room to stand without heels or toes hanging off the edges. Also holds up to 350 lbs weight. Now, it's easy for me to reach higher shelves without any chance of falling. I do find the stool looks sturdy and durable, very light and I can take it anywhere I go. Easy to store and fold and to unfold it, simply tilt it and the leg hinges automatically swing open and snap into place. To fold, just pull up on the handles. I love the product the minute I first used it. I would definitely recommend this durable step stool to those who seeks one. Oh this is nice especially that I am short lol. This is something I can use in my own home as well.